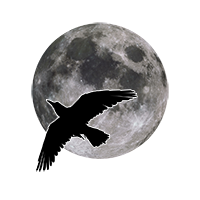 Raven IX is a 2 man development team based in England. We formed in 2012 after discovering a mutual interest in making games that we wanted to play – games that try something new or try to recapture elements we feel have been lost as the medium has advanced. We have a strong love for RPGs, adventure and horror games and this is where we decided to focus our own efforts, building on what we know while aiming to approach our work in a new way. We are students of our crafts, always learning and experimenting. We cannot guarantee we will create something beautiful, but we do hope to create something memorable. A writer at heart, with a love for words stemming from imaginative bedtime stories as a child, I had never really thought making games was a possibility, though I had considered the idea and made some small works with an old version of RPG Maker. It was only through my collaboration with Dave that I really came to consider this as an outlet for the stories I had in mind. I have always had an interest in the paranormal, mythology and the macabre and this has heavily influenced my work. I prefer to draw from history and mythology and my stories are often grounded in reality, or at least in a version of it, exploring the dark places of Earth and the stories hidden in the dark. 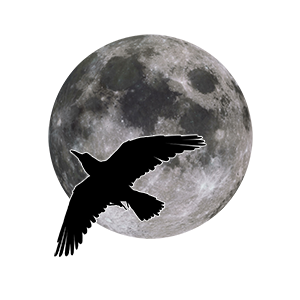 As part of Raven IX I try to work with Dave to come up with a story we are both happy with. While he then sets to work creating all the technical aspects we require, I design characters and environments, script dialogue and flesh out the world for us to build together. Passionate about games and programming. My interest in computers and eventually games all started out with my first computer, which was an Apple IIe. That”s when I discovered programming and realised I could write my own games. Mostly text based adventure games. Well that was about 18 years ago. Over the last 5 years I have been learning C++ / OpenGL and tinkering with many different ideas and projects. I decided to put all that knowledge to use and start work on my first game. Creating and releasing my own game has always been a dream of mine.